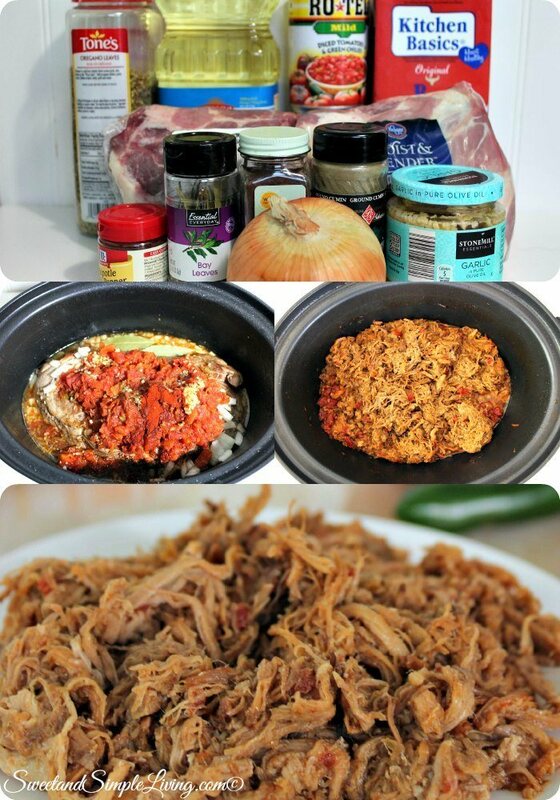 Slow Cooker Carnitas Recipe! Throw it in and Enjoy! With baseball season upon us, and both of my children playing this year, our slow cooker is going to be putting in some over time! 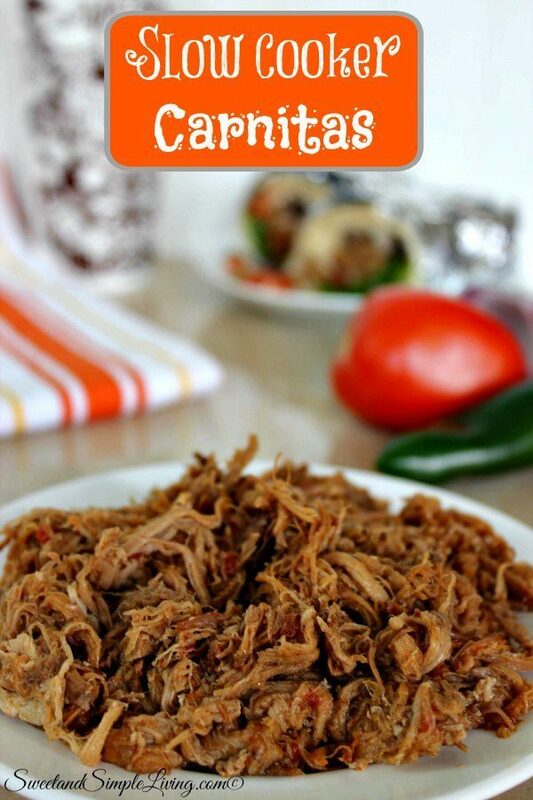 Check out our super easy and yummy Slow Cooker Carnitas recipe! 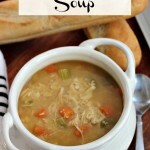 I love being able to prepare in the morning, throwing everything into the slow cooker and then coming home to a warm, filling meal after we’ve finished our extra activities. It’s really the only way I’m going to make it through baseball this year! Heat oil in a large pan and brown pork on all sides. 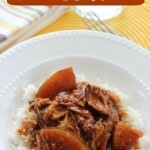 Place pork in the slow cooker and add the remaining ingredients on top of pork. 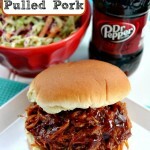 Remove the pork and shred. Also, remove the bone if it was not boneless. Drain about half of the liquid and add the shredded pork back to the juices in the crock pot. 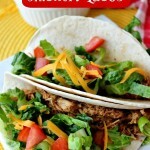 Typically, you would use your Slow Cooker Carnitas to make tacos. 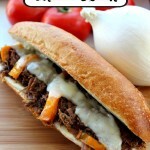 You can serve it with rice and beans, pico or guacamole and some chips. I love to have some fresh sliced limes close by when we have this too. 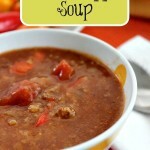 This recipe makes a pretty good amount, so you will probably have left-overs to enjoy over the next day or so. We’re adding new recipes every day, so be sure to visit us often. You can browse through all of our recipes HERE! 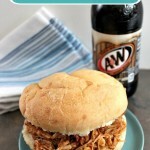 Love cooking in your slow cooker or crock pot like I do? Then definitely check out this cookbook! 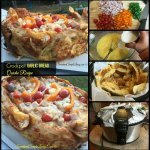 It has over 1400 recipes! !